"I wanted to thank you again for being so kind and going the extra mile for me on the order for my daughter and son-in-laws gifts. They loved them and haven't taken them off except to shower since I gave them to them. I gave them to them Thursday afternoon right before we walked in the Heaven's Cradle Twilight Run fundraiser. It meant so very much to them! Also, my niece that I ordered the first one for so that she could have it before she left for a 3 month missions trip to Africa was so touched by my gift. It meant the world to her. Thank you so much for making a precious quality gift for bereaved mom and dads. This has truly been the hardest thing we have faced as a family but these gifts have given these mom and dads something to remember their sweet babies and to wear it close to their hearts. I will never forget your kindness." I started making hand stamped jewelry a little over three years ago. 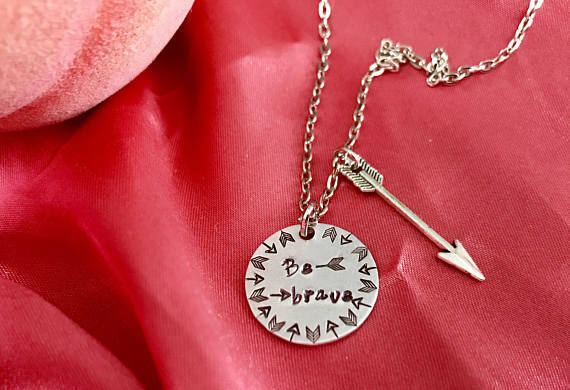 My son was almost one and I wanted a custom necklace. 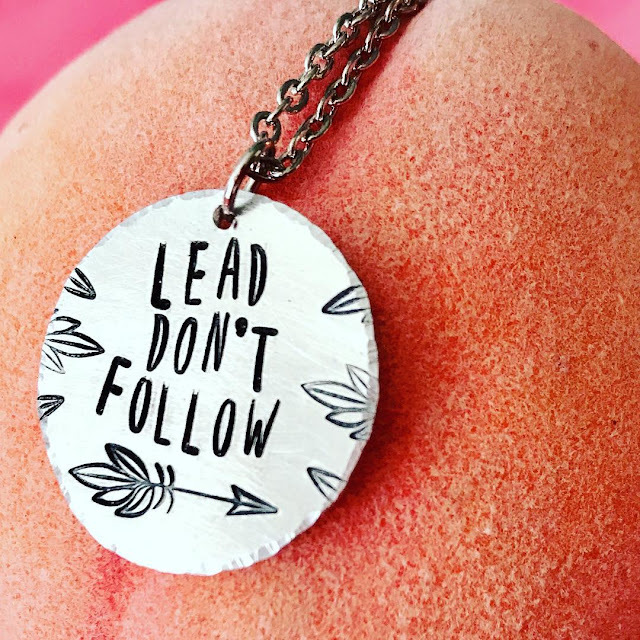 So I searched online and bought a hand stamped necklace I found on Etsy and when I received it I thought, I can do this! So I bought a few supplies at a local store and watched a lot of classes online. I started out small and just made things for family and friends. The response was so great that I decided I should start a business and start selling to more people. 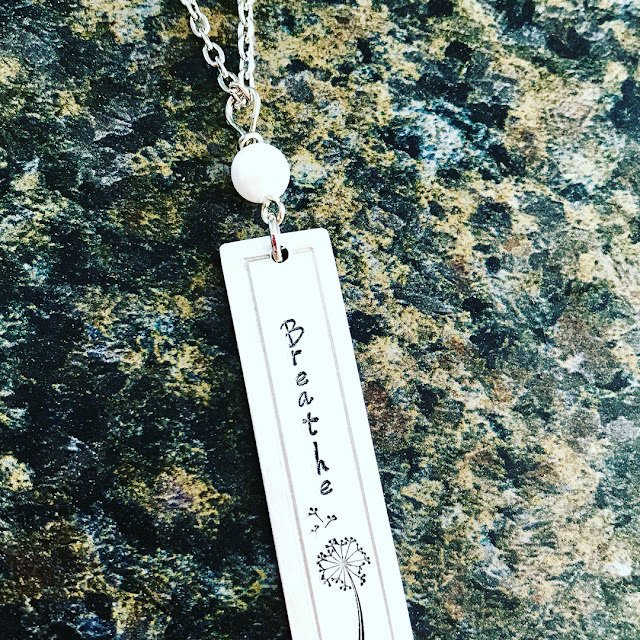 I enjoy making necklaces, bracelets of all types, key chains, and earrings. Necklaces are one of my favorite things to make. I prefer to make things that are customizable. I love to make something for someone that they will cherish forever and that means so much to them. Whether its an anniversary, a new mom, a grandma, in remembrance of a loved one, etc. I just love to make things that have a meaning to someone and they can only get it from hand stamping. I love that no two pieces of jewelry are identical so that no one has the same piece of jewelry as you do. I love learning new things. I am always watching online classes and getting new supplies to start a new project. I have recently started learning how to do wire work and so far I am loving it! It's a bit of a challenge but the beautiful work it produces is worth it! I am a stay at home mom to 2 little boys (4 and 2 years old), they have both been a huge inspiration to my work. They both love to sit and watch me when I stamp. They even do a little practicing of their own sometimes! I am very thankful to have a caring husband who is so supportive of my craft. I get my inspiration from my family, nature, life and most of all God! Without Him none of this would be possible for me. He has blessed me with an amazing job and surrounded me with amazing people in my life. 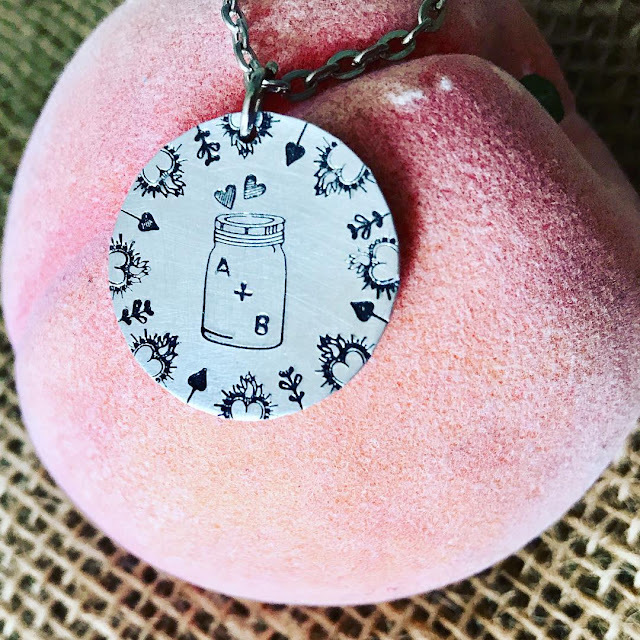 One reason I love stamping so much is that it is a HUGE stress reliever!! Nothing better to take your mind off of things like hammering some metal! I also love the artistry of stamping. I can start with a blank canvas and have no clue what I am going to make and just go for it and it turns into something beautiful! I mostly work with aluminum but I also love copper and pewter. Hearts are my go-to stamps. But my favorite is definitely the dandelion with fluff. I'd say I have a little bit of a design stamp addiction. I am constantly buying new designs. I love that they can be used so many different ways. The possibilities are endless! I have enjoyed watching my business grow over the years and meeting so many great people that I wouldn't have met otherwise. I can not wait to see where the next few years takes me! 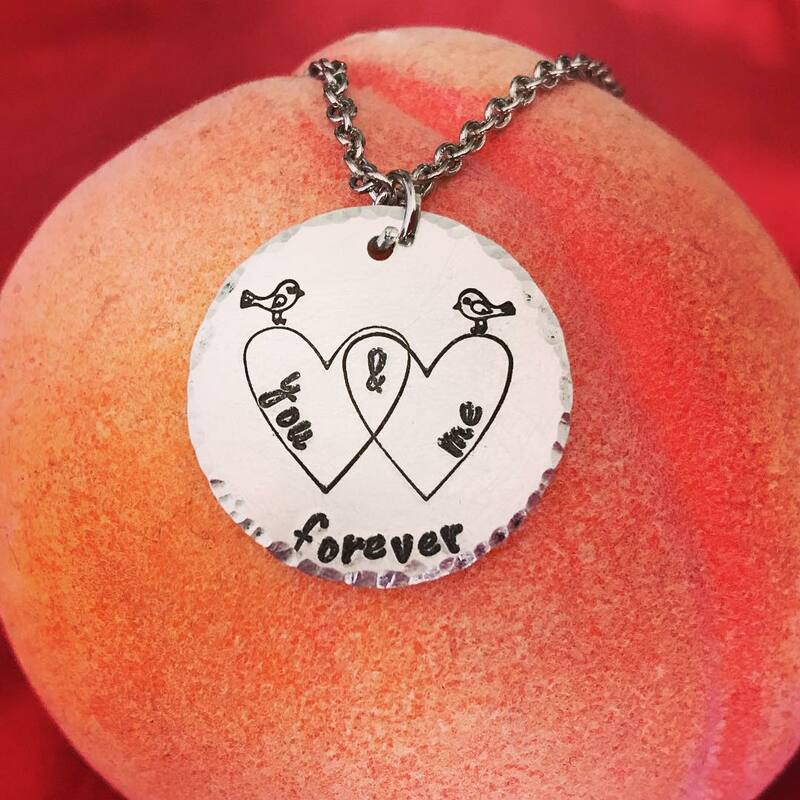 If you are looking for a special jewelry gift, please visit Peachy Imprints on Etsy or follow them on Instagram and Facebook. If you would like to be considered as a Featured Maker, please contact Angela@Beaducation.com - thank you!